Disney’s Descendants television movie has all the elements of a blockbuster fairytale – and the costumes are incredible. 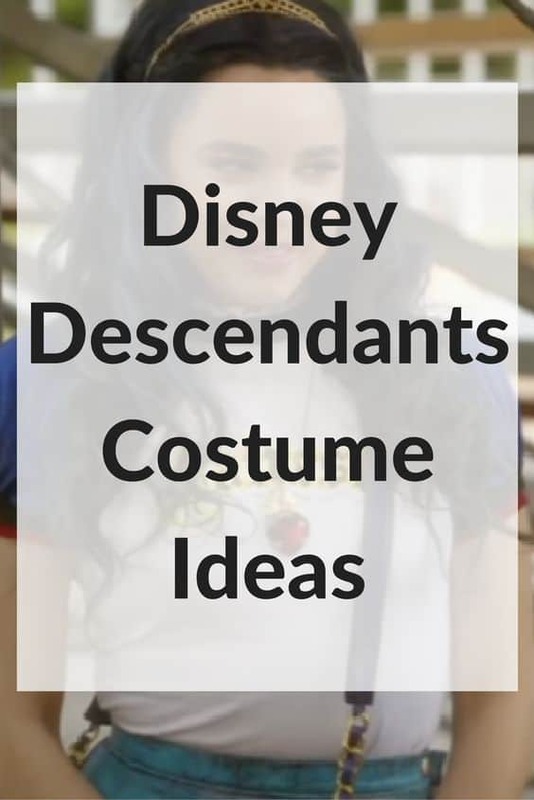 Dress up like your favorite character in the film by searching online for one or more the many colorful and quality costumes and accessory items you desire. 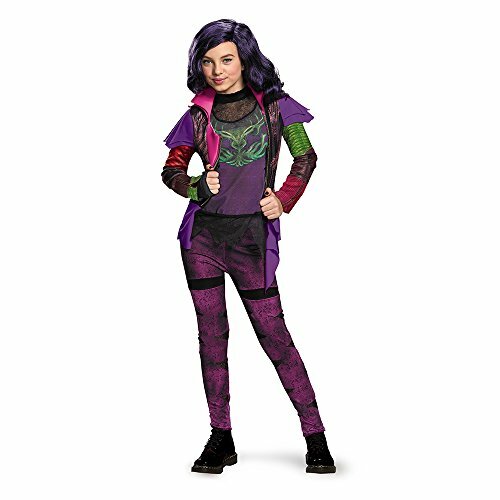 You may choose from the Evie costume for girls. 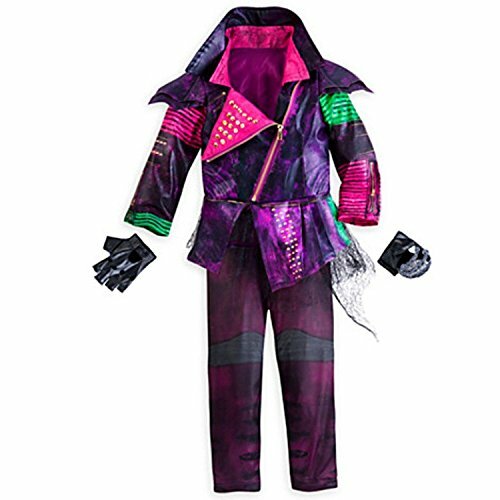 This Disney Store Deluxe costume contains a faux leather jacket with leggings and gloves and features a faux leather belt and double-collar sleeves with stretchy undersleeves. It also comes with elastic-waisted pants and top skirt. Maleficent (Mal) is a dramatic character with her Faux leather jacket, belt, leggings and gloves. The gold metal stud design on the double collar and shoulder guards set off the rest of the costume – elastic waist pants and black mesh skirt and gloves. If your child wants a true adventurous costume, choose CJ’s signature pirate outfit that features a romper, tights and scarf. Velcro closures make it simple to take on and off and your child will be ready to join the Descendant fun. Jordon, the fabulous genie, is great for tweens who love the stories associated with the Descendants. It includes a jumpsuit with attached jacket and belt and a Velcro closure for easy dressing. Face decals, necklaces and other accessories to further authenticate the look. 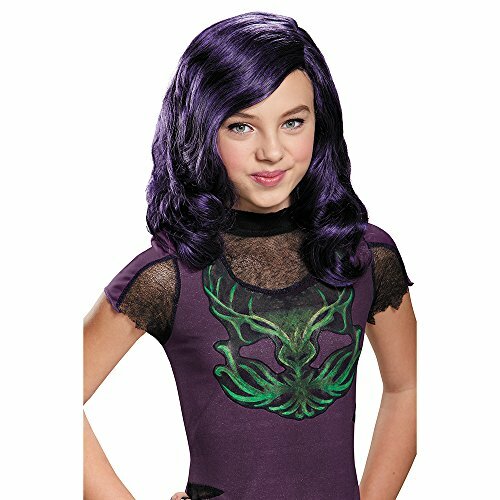 Women will love the role of the mistress of all evil in the Deluxe Maleficent Costume. It comes with a stylish purple dress, fabulous headpiece and a green witch-face. It features a high back collar and attached belt. Boys will want to complement the lady’s in costumes such as Jay Standee or Carlos Standee. 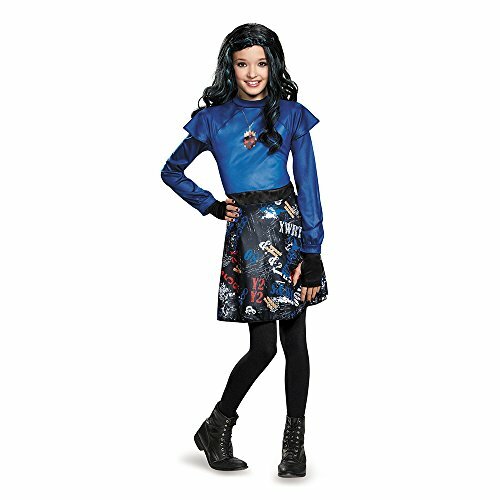 There’s something for everyone – adults and children – in the Disney Descendants costume collection. Disney uses characters from other fairy tales that have become hits such as Sleeping Beauty and other timeless tales. Your son or daughter will love the variety of costumes they can choose from Disney’s collection of quality and authentic characters. Shop online for the biggest and most complete collection of costumes available. You’re sure to find the character that you fancy and in the size that you need. Halloween isn’t the only time for costume dress up. Your kids will love wearing their costumes for everyday play or to costume parties throughout the year. Grownups will also love to dress up with the kids or with other adults for year round costume parties. 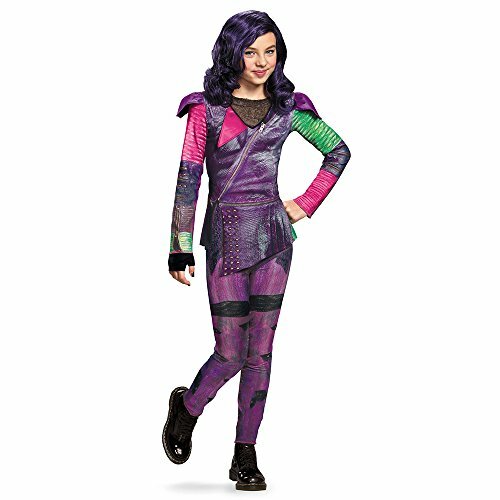 Choose a Descendants theme for your own party for even more fun. You’ll find all the accessories you need for theme parties online.